This article discusses a relatively new technology that is now being experimented with and deployed within high volume distribution center operations in Europe and the United States. The concept involves driverless mobile equipment (pallet jacks or forklifts) such that order selectors no longer need to get on and off of the vehicle as part of the picking process. This is emerging as an exciting new opportunity to improve the safety, ergonomics and productivity associated with full case order picking which is the most labor-intensive job in many distribution operations. In this article we review two companies (Kollmorgen and Seegrid) that have developed two different solutions for driverless mobile equipment. The technologies differ in their design and approach but they are both generating interest within industries that are characterized by labor intensive full case picking operations. We expect that you will be hearing significantly more about these solutions over the next decade. If you have ever witnessed a conventional high volume full case distribution center then you can appreciate just how hard the job of order selection can be. Without doubt, full case order picking is one of the most physically demanding jobs in the distribution industry because operators must repetitively lift and stack heavy cases of merchandise throughout the work day. In many distribution centers, it is not unusual for an order selector to pick 15+ tons (i.e. 30,000+ pounds) of product during a normal work shift. Order picking often accounts for 40 – 45% of the direct labor force within a distribution center. It is the job of the industrial engineer to balance the trade-offs between maximizing order picking productivity; building high-stability outbound pallets; and ensuring work place ergonomics and operator safety. To this end, many companies have implemented some form of solution to improve order selection productivity including: slotting; voice directed picking; ergonomic pick racks, engineered labor standards; and incentive systems. These solutions have been widely deployed in companies in developed countries over the past 15 years. Aside from full blown automated order picking, the price tag of which is out of reach for the majority of companies, the time is ripe for something new to advance labor efficiency for conventional distribution operations. Enter the concept of driverless lift trucks and pallet jacks with the intelligence to travel throughout the pick line and to/from the dock without the need for human intervention. We believe that this technology provides a relatively affordable solution that delivers a strong return on investment for improving the productivity, ergonomics and safety associated with high volume full case picking operations. Kollmorgen Corporation is a large global manufacturing company specialized in motion systems and components for original equipment manufacturers (OEMs). Kollmorgen’s parent company is Danaher Corporation headquartered in Washington DC. Kollmorgen’s headquarter is located in Radford, VA.
Kollmorgen has a long and established reputation as being a leader in the motion industry with product lines that include motors, drives, controls, gearheads, linear positioners and power generation. Specific to the material handling industry, Kollmorgen is an established leader in the automated guided vehicle (AGV) market with 15,000 AGVs deployed across 1,000 sites around the world over the past 35 years. Kollmorgen also produces many of the standard drives, controllers, motors, gears, etc. that go into forklift trucks, monorails, AS/RS, and conveyor equipment so the company is already well-established within the material handling industry. Depending on the size and type of distribution operation where this technology application is deployed, Kollmorgen has indicated that labor order selection productivity gains of between 25% to 100% are achievable. Kollmorgen claims that their clients are consistently achieving a return on investment typically within 24 months. Clearly, larger distribution centers with labor-intensive full case picking operations are the main target candidates for this type of solution. There is a one-time engineering set up required to prepare the warehouse for the Pick-n-Go solution. The facility needs to be prepared to support one of the multiple navigation techniques offered by Kollmorgen. Since laser navigation tends to offer the best performance, this article focuses on that approach. A special reflective tape is placed on rack uprights throughout the distribution center. Typically these are placed 20 to 30 feet apart such that every 2nd or 3rd rack upright has a reflector on it. The idea is that the laser technology always knows where the vehicle is within the facility by reflecting the laser off of the reflective tape. When racks are not available, the tape is placed onto building columns, or on the overhead joists in the ceiling, or as magnetic spots positioned on the floor. An automatic surveying software tool is used to build a map of the distribution center. All reflector tape locations are recorded and “noise” caused by mirrors, windows and other reflective sources are filtered out of the map. Thus the mobile equipment can relate the light reflection from each reflective tape surface to an actual set of warehouse location addresses within the map. New standard forklift trucks from the warehouse operator’s existing forklift supplier are automated with the vehicle automation kit from Kollmorgen. Kollmorgen typically retrofits new forklifts for safety reasons and because retrofitting is too expensive for used trucks with a reduced life expectancy. In Europe, two forklift manufacturers already offer Kollmorgen’s automation as a built-in factory option. It is expected that U.S. suppliers will eventually follow down this same path as it is more efficient to install automation components while the forklift is originally being assembled. Currently, North American companies decide which forklifts/pallet jacks to retrofit and Kollmorgen installs the laser technology system within the U.S. The Pick-n-Go solution works best in an environment where some type of warehouse management application (ERP WM or WMS) is running with voice directed picking. When outbound orders are ready to be released for picking from the WMS, these orders are concurrently transferred via an integration adapter layer to the Pick-n-Go navigation software application and also to the voice directed picking software application. The order selector then receives information about the order via the headset to enable work to begin. It is important to note that the use of voice directed picking is optional as the same process unfolds if operators are using radio frequency handhelds to communicate to the WMS. The Pick-n-Go navigation software instructs a driverless forklift vehicle, equipped with empty pallet, to go to the first pick location where the operator is positioned. Upon arrival of the vehicle, the order selection process begins. 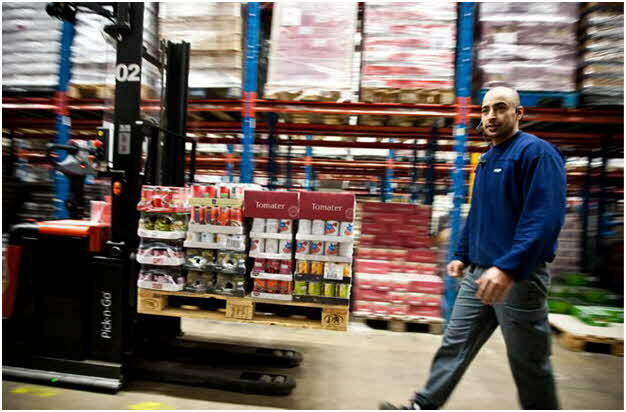 The forklift truck stays in front of the operator at all times so that the operator is always walking forward as they select product. This helps to eliminate seconds spent walking back and forth around the pallet. The forklift blades are elevated so that the pallet is positioned at an ergonomically-friendly height which reduces some unnecessary bending and reaching during the process of stacking the pallet. The operator can lower the blades by speaking commands at any time through the voice headset. A battery powered narrow aisle forklift truck costs about 2.5 – 3.0X more than a battery powered pallet jack. Since order picking is the most labor intensive job in the warehouse, this can translate into a sizeable capital investment if every selector works with a forklift vehicle that is essentially being used for the horizontal transport of palletized goods. On the other hand, the pallet can be continuously elevated to the ideal height for the picker so that ergonomics are optimized throughout the entire pick process. Double pallet jacks imply that the selector works 2 pallets at a time and therefore the amount of time spent walking around the 2 pallets is longer than if a single pallet jack is worked because the length of the 2 pallets is 8’ instead of 4’. Having said this, most U.S. companies will likely want to use driverless double pallet jacks because this configuration is applicable if picking density is low to medium. For very dense picking applications a single pallet is just as quick to pick to and because the machine moves to the dock on its own, there is no operator time loss by picking one pallet load at a time. At the completion of each pick task confirmation, the forklift truck accelerates to the next point along the pick path thereby escorting the operator to the next pick location. The navigation system is fully equipped to ensure that under no circumstances will the machine ever collide with any man, object or obstruction. The operator walks behind the vehicle at all times and there is no need to get on and off the truck. This process repeats itself as the operator picks the order and serpentines the pick line. At the time of order completion and/or at the time that the pallet has achieved its maximum allowable stacking height, the driverless forklift departs to its designated staging/shipping location without human intervention. If a next truck is required to continue the order then a forklift equipped with an empty pallet arrives at the exact location where the last order line item was selected. The operator then continues to pick the order to the new pallet. One of the first companies to deploy the Pick-n-Go solution is Coop located in Bro outside of Stockholm, Sweden. Coop is the second largest retailer in Sweden with some 700 outlets, convenience stores, supermarkets and hypermarkets. The Bro facility is about 1,390,000 square feet and is the largest grocery distribution center in northern Europe. The facility stocks about 11,000 food SKUs and 25,000 non-food SKUs. The depot ships 3,500 EUR pallets daily and 4,000 containers and 65,000,000 packages per year. Coop is an innovative firm willing to try new concepts in an effort to improve operational results. The company deployed 32 Pick-n-Go trucks as part of its first phase roll-out with plans underway for an expanded 50 vehicle deployment in Phase 2. The automated warehouse trucks were supplied by Kollmorgen’s partner Toyota Material Handling Sweden (BT trucks) and integrated with Coop’s fleet of approximately 400 BT trucks. To date, Coop has reported an incredible 100% gain in order picking productivity after deploying Kollmorgen’s Pick-n-Go driverless forklift technology. In Slovenia, Engrotuš d.d. is a large supermarket retailer implemented the Pick-n-Go application by automating standard forklift trucks after determining that a fully automated full case picking solution was cost prohibitive. What makes this installation noteworthy is that the solution was deployed in the fresh and chilled rooms within the distribution center. The automated forklifts transfer empty roller cages to the order selector and once the roller cage is full, the forklift transfers the roller cage to the appropriate shipping door / dispatch area for subsequent loading. The automated driverless forklifts operate within a mixed environment that includes order selectors and manual forklifts with drivers performing putaway and letdown so needless to say the equipment must guarantee 100% safety at all times. The system was installed within an existing live distribution center operation/infrastructure and integrated to the company’s warehouse management system without business disruption. The application has significantly increased the overall efficiency of order picking processes at Engrotuš d.d. GENCO ATC, North America’s second largest third-party logistics supplier, is piloting a Pick-n-Go installation for two automated Crown SHR5500 forklifts at a GENCO-managed distribution center in Jacksonville, Florida. GENCO ATC is seeking to help maximize case selector productivity and also to ensure ideal pallet positioning for improved picking ergonomics. The Jacksonville operation is an important pilot project for Kollmorgen’s Pick-n-Go technology application because GENCO operates over 37 million square feet of warehouse space in North America so there is a large future upside opportunity. Kollmorgen’s Pick-n-Go: Driverless Forklifts Can Enable a 25+% Productivity Increase in Full Case Pick Productivity. Stationary software for efficient route planning and traffic management of the fleet of trucks as well as seamless integration with the existing warehouse management system (WMS). Vehicle automation components (hardware and software) for navigation, steer/drive handling, and load handling and safety. It is important to keep in mind that this type of solution must be 100% safe at all times. For this reason, Kollmorgen’s preferred approach is not to modify an existing fleet of forklift trucks, but rather to work with new forklifts that are retrofit with safety sensors, controls and laser technology. Thus customers tend to phase in the fleet of new vehicles into their existing fleet over time since new trucks can replace older trucks that are set to retire. To keep capital investment requirements down, some customers choose to lease the new trucks such that older leased vehicles are replaced by incoming Pick-n-Go trucks. Lead times and deployment times for the equipment range in the 6 – 9 month time frame. To date, approximately 10 companies are actively using or deploying Pick-n-Go driverless forklift trucks for high volume full case picking operations in Europe and the company is now investing and expanding into the North American market place. Kollmorgen has also expanded its solution offering to leverage this navigation technology for automated horizontal pallet movement and automated trailer loading applications. For more information and to see a great video see this link. 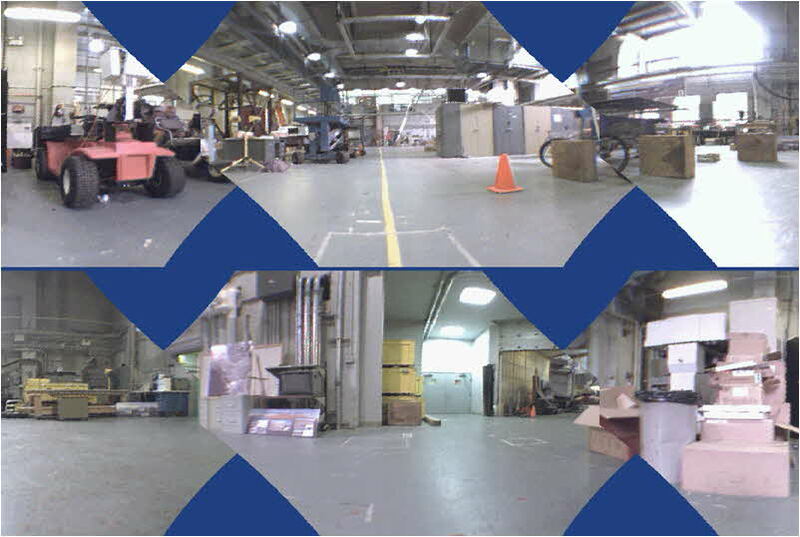 Seegrid is a Robotic Industrial Truck manufacturer headquartered in Pittsburgh, PA. Seegrid was founded in 2003 in order to develop vision guided solutions for industrial trucks that navigate without wires, tapes or lasers. I first met Scott Friedman, founder and CEO of Seegrid, at the 2004 ProMat show when the company was just starting up. Scott is not your typical material handling industry veteran; in fact, he is a medical doctor who spent the first half of his career working robotics technologies for health science applications. Scott’s background as a medical doctor was a key driver behind the development Seegrid’s solution which is branded as SafetyPickTM. According to Scott, “we could have called this technology “ProductivityPick” because it lowers the cost of operating a tuck from $25-$30/hour to about $4/hour, but we chose to emphasize the safety aspects of this technology instead”. SafetyPickTM is essentially a mobile pallet jack equipped with vision technology to enable the vehicle to move along a designated route without the need for a human operator. The vision guided technology has been developed by Seegrid and specifically for operating industrial equipment. Software applications have been developed to add intelligence such that the machines start and stop at required pick locations throughout the picking process. There is no large one-time setup requirement in advance of vehicle deployment. The Seegrid approach is to enable companies to deploy their solution gradually without the need to commit to a capital investment into facility infrastructure (i.e. no lights, reflectors, wires in the floor, etc.). Each battery powered pallet jack or forklift truck is equipped with a vision technology system that is installed when the vehicle is manufactured. The vision technology system is essentially a set of digital motion video cameras that film and record a 360 ° vision around the vehicle while it is moving. Deploying an automated driverless vehicle is straight forward. An operator takes the pallet jack through a journey in the warehouse from point A to point B. The vision technology records the journey and stores the digitized data. The vehicle is now set to repeat the same journey as many times as is needed (without an operator) so that the horizontal travel/transfer of unit loads is automated. Think of this as a poor man’s automated guided vehicle (AGV) only the good news is that facility investment and the vehicle moves at a normal speed. Each pallet jack (single or double) vehicle is equipped with a WIFI Global positioning system (GPS), vision technology, and safety sensors that are wired into the vehicle. The software constructs a virtual map of the warehouse and records all location slots along the way. A new map can be easily be generated whenever layout changes are made. Currently, the technology is designed to support ambient or chilled operating environments but is not designed for freezers. The industrial mobile equipment is equipped with safety sensors to ensure that it stops on a dime in the event that a person steps in front of the vehicle. For this reason, Seegrid currently works with a dedicated partner to produce SafetyPickTM vehicles. “Eventually, we believe that our equipment will be an option that can be purchased with any major industrial truck company’s product line,” according to Scott. The basic process of moving pallets from point A to point B using an automated driverless pallet jack equipped with the Seegrid vision guided technology system is in place for several companies in North America. In these operations, Seegrid has successfully automated the horizontal transfer of pallets which is a great productivity enhancement opportunity for companies with long horizontal travel distances that are within or between industrial manufacturing and distribution facilities. The SafetyPickTM application is a more complex software application specifically designed to support full case order picking without the need to drive mobile equipment. Seegrid has been working closely with grocery retailer Giant Eagle of Pittsburgh, PA to develop this application. It is complex because the software needs to integrate to a WMS to support order selection with frequent starts and stops. A large supermarket dry grocery order can be between 800 – 1200 cases which means that the order selector may need to get on and off the vehicle about 600 times over the course of a pick run. This represents a significant amount of time waste that can be eliminated if the vehicle travels on its own. Seegrid Technology Automating the Horizontal Transport of Pallets in the Distribution Center. Larry Parker is an industrial engineer who has spent his career studying high volume retail and wholesale distribution operations. He is specialized in improving order selection productivity rates through industrial engineering labor standards. I spoke to Larry about the time savings associated with driverless pallet jacks. According to Larry, “if we assume that the average selector requires 6 seconds to get on and off the vehicle then this represents about 10% of the time spent selecting a full case order. In other words, a selector that picks at a rate of 200 cases per man-hour would pick at roughly 220 cases per hour if the vehicle automatically moves forward without the need for the driver to advance the vehicle”. During the order selection process, when the pallet cubes out or the order is completed, the selector does not travel to the shipping dock with the picked pallets. Instead, the vehicle automatically moves to the designated staging/loading location as per the rules configured within the software application. According to Larry, “this represents about an additional 15% productivity gain depending on the size of the order (i.e. pallets/order) for about a 30 case/hour improvement”. Hence the operator who selects at 200 cases/hour conventionally should pick at a rate of about 250 cases/hour if the mobile equipment is automated. It is important to keep in mind that these figures are approximate and are dependent on the specifics of each operation and that they are provided in this article for the purpose of illustration. Actual productivity gains may be lower or higher depending on the distribution operation’s specific characteristics. Just to put this into perspective, an increase in order selection rate of 50 cases/hour is not only a big number, it is monumental. Imagine a large food distribution center shipping 1,000,000 cases/week with 350 direct labor associates. This operation would have roughly 130 people selecting orders over 2-3 shifts. Assuming that 65 double pallet jacks are equipped with the SafetyPickTM technology, this would enable a reduction of about 30 full time selectors. In North America, it is not unusual for a full case selector to be paid a fully loaded wage rate of $25/hour. Based on this example, this would translate into an annual labor savings of $1,560,000. These numbers help to illustrate why there will be a significant interest in this type of solution once it is ready for prime time because the return on investment is very compelling. Aside from the financial considerations, automating the movement of industrial mobile equipment has important health and safety benefits which should not be overlooked. Every time an operator gets off the truck, there is an impact on the knees that is repeated say 600 times for every order and this takes its toll over the years. Full case selection is hard on the body and eliminating the to get on and off the truck provides a health benefit that ultimately results in a reduced workman’s compensation claims. As at the start of 2011, Seegrid’s SafetyPickTM is still in its final development stages (80% of the software code is to deal with picking exceptions) but the company is actively marketing the solution. At the 2011 RILA show, I spoke with Larry Baldauf (Senior Vice President, Supply Chain at Giant Eagle) about SafetyPickTM and his experience with the prototype. Larry is bullish on the solution and firmly believes that this technology is a key enabler for the future of distribution operations. Larry is actively participating in creating market awareness of Seegrid and has been instrumental in helping the company develop an industrial strength solution. Giant Eagle will be the first grocery distributor to implement this technology and the rest of the market is waiting on the sidelines to see what the outcome is. The innovative technology can be integrated into a warehouse or distribution center in just a few hours. 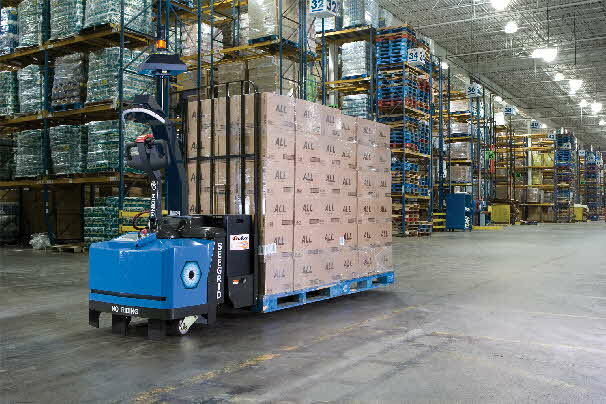 When an operator drives a Raymond lift truck that has a vision guided system through a facility, the truck learns the individual steps of the operation it will be performing, such as transporting a pallet of goods from one location to another within a warehouse. A lift truck equipped with the vision guided system does not require lasers, tape, wires or additional infrastructure, and can learn up to 15 miles of routes in unlimited configurations. Also in May, 2011, Linde MH announced that it is developing automated vision-guided robotic industrial trucks in collaboration with Seegrid Corporation for the European market place. The Raymond and Linde announcements are timely and they indicate that the large material handling vendors are taking this innovation very seriously quite simply because there is a strong anticipated demand for this technology going forward. Looking Through the Eyes of Seegrid's Vision Technology - Photo Courtesy of Seegrid. For more information about Seegrid click here. Dematic 's approach is interesting because it is raising the bar in terms of the software intelligence that is needed to enable driverless vehicles in a high volume distribution center where operators need to pass one another within the same operating aisle. To date, the one area of weakness with this type of technology has been that vehicle management is relatively unsophisticated. In a typical high volume case picking operation, such as in a grocery distribution center, it is imperative for order selectors to pass within the operating aisles. Thus driverless vehicle technology needs to have the flexibility to either block or enable passing within an aisle. Dematic has been making in-roads in this area by developing the software controls that add intelligence to the driverless vehicle environment. Dematic's LaserTruck+TM technology is designed similar to the Kollmorgen approach whereby reflective labels are placed on uprights so that the vehicle's vision technology system can detect its precise location within the distribution center. To this end, an engineering team needs to setup the infrastructure within the building prior to the system being operational. Each order selector communicates to a central computer with a voice headset or RF device. Each vehicle communicates in real time to the centralized computer such that the vehicle automatically advances to the next pick location upon the operator confirming a pick task. As such, the computer can guide the operator and the mobile equipment through the work area(s) assigned to the operator. If the operator is selecting to a double pallet jack and both pallets are cubed out (or the order is complete), then the vehicle can drive itself to the designated staging / drop-off area and a new double pallet jack with 2 empty pallets arrives just in time to take its place. What is interesting about Dematic's approach is that they have designed their technology around the basic philosophy that the operator and the truck should be decoupled. This means that both resources can be independently managed to optimize the order picking process. The reason computer optimization is required to improve the concept of driverless vehicles is because of the inherent flexibility requirements of a high volume case picking operation. It is not always practical or realistic to think that operators can always work apart in separate aisles such that passing in an operating aisle is not a requirement. It is not always possible or practical to think that a bucket brigade picking system is suitable since the speed of order selection will always be dependent on the slowest order selector within the brigade. For many other reasons, intelligent software is the key ingredient that will take the relatively new concept of driverless vehicles and make it into a solution that companies start to buy into on a larger scale. To date, Dematic's LaserTruck+TM solution has been in development in a lab environment at a test site. 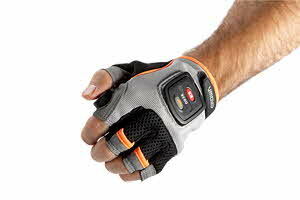 Dematic is now in its second generation of technology and has commercially launched the product in 2011. Dematic is reporting that its simulation of a full case grocery picking environment proves that a 25% gain in order picking productivity is realistically achievable because of the elimination of time associated with retrieving empty pallets, getting on and off the truck at each pick location, driving the vehicle to the next location, and moving completed pallets to the shipping dock. In March, 2011, Dematic and Crown announced that the two companies launched a formal alliance to apply LaserTruck+TM technology to the Crown PC 4500 Series rider pallet truck with the goal to increase case picking productivity in the warehouse. This means that a company can purchase a new Crown PC4500 battery powered single or double pallet truck fully equipped with the Dematic LaserTruck+TM application right out of the box. For a video of Dematic's LaserTruck+TM applied to a driverless forklift click here. In 2011, Crown introduced the QuickPick Remote Advance System which allows order selectors to wear a wireless transceiver glove (or transceiver trigger) to remotely advance a pallet jack to the next pick location. The technology is currently available with the Crown PC 4500 Series center control rider pallet trucks. Let’s say that the selector is receiving pick command directives from a voice headset. The system advises the operator as to the next pick location to go to. The operator walks behind the vehicle and presses the button on the glove which sends a laser signal to the pallet jack in front. The operator can choose between “creep” mode during order selection or “ride” mode to travel to and from the dock or within the aisles. The vehicle is equipped with laser technology sensors to detect obstacles in the path of the truck and if an obstacle is detected the vehicle brakes are automatically applied. The benefit of Crown’s solution is that a company can test-drive this solution by purchasing a couple of trucks to see if it is something that can improve productivity. The investment cost is low and there is no information technology investment which can make this an attractive option for companies seeking a low complexity solution that does not require MIS extensive bandwidth to deploy. It is important to keep in mind that this with this solution the operator directs the vehicle forward, not the system. Therefore the operator must think about moving the vehicle forward while also thinking about the voice pick command to select the next case/quantity. In a low density picking environment (e.g. 1 item picked out of every 20 slots), this may not be much of an issue. In a high density picking environment, this approach may be the source of confusion and frustration for some operators. Typically, 20% of associates in a work force are quite capable of multi-tasking and 80% are not. The 20% who can multi-task may experience a significant productivity increase but the other 80% may actually experience a productivity decline. As for myself, I have a hard time combing my hair and brushing my teeth at the same time so I would be in the 80% population. Suffice to say that this solution looks most promising where user-directed environments make sense such as in low density case picking operations. I am convinced that the adaptation rate of vision technology solutions will accelerate over the next decade as these solutions mature and as the price point approaches a 2-year return on investment. It is important for this technology to be flexible and adaptable to the day to day changes in picking operations so that the operation does not need to be modified to meet the needs of the equipment. 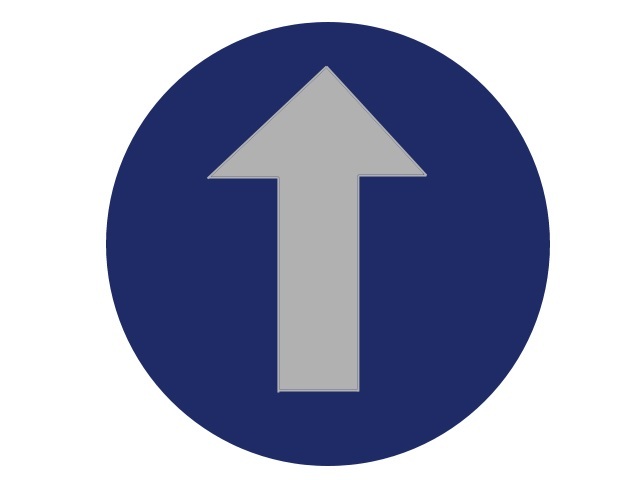 One simple example of this is the need to support operators passing each other within an operating aisle. Driverless mobile equipment is not a revolutionary form of automation; rather it is an evolutionary form of semi-automation that can greatly benefit distribution environments characterized by a high labor cost component for conventional full case order picking. Marc Wulfraat is the President of MWPVL International Inc. He can be reached at +(1) (514) 482-3572 Extension 100 or by clicking here. MWPVL International provides supply chain, logistics distribution consulting services. Our services include: distribution network strategy; distribution center design; material handling and automation design; supply chain technology consulting; product sourcing; 3PL Outsourcing; and purchasing; transportation consulting; and operational assessments.